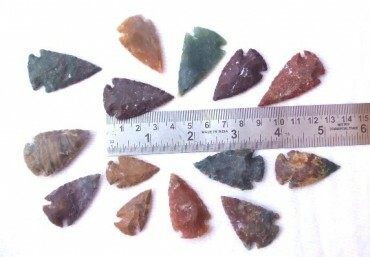 Agate Exportoffers Indian Agate Arrowheads. Its size ranges from 1 Inch to 1.50 Inch. Theseare made from different agate stones, making it a colorful piece. You can putthem on a wall and decorate your house.